I’m Ed Smith, a Roseville auto accident attorney. If you have a desire to fight a parking ticket you received in the city of Roseville, you may be able to have it dismissed. If you are dealing with a parking ticket received from the city of Roseville, you may want to try to save yourself the charge of a fine if you think you may have a case. 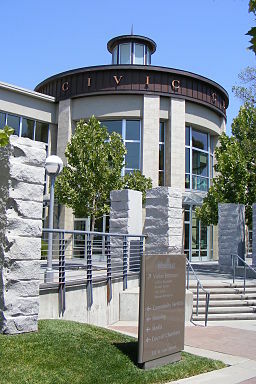 The Roseville Police Department is responsible for managing the city’s parking fines. A spokesperson for the Roseville Police Department told ABC 10 that in the past year alone, 84-percent of appealed parking citations were dismissed by the department. Between July 1st, 2015 through June 30th, 2016 the Roseville Police Department wrote 2,142 parking tickets. During that same time frame, 741 of those citations– or approximately 35 percent– ended up being appealed. Of the 741 citations appealed, 621 were dismissed by the department. Most of the tickets were written for handicapped parking infractions. The reason citizens appealed is because they had valid handicapped placards, but forgot to place it on their mirror prior to parking. In a few instances, they placed it on the mirror but it had fallen. If you have received a Roseville parking ticket and you think you have a valid reason that may get your ticket dismissed — file that appeal in a timely manner and see if the Roseville Police Department will dismiss your citation. It is worth a shot. Not all police departments are as forgiving as Roseville. Stockton, for example, may not be as forgiving with the handicapped placard scenario even if you did have one and forgot to place it on the mirror. I’m Edward Smith, a Roseville auto accident attorney. If you have been in an accident and have suffered serious bodily injury because of the negligence of another, please call me at (916) 921-6400 or (800) 404-5400 for friendly and free advice. See our customer ratings on Yelp, Avvo, and Google. You can find a list of our past verdicts and settlements here. I’ve been helping Roseville residents recover compensation for their personal injuries and wrongful death claims for more than 34 years.